Exceptional medicine. Extraordinary dedication. Excellent care. Weare Animal Hospital places the care, diagnosis, and treatment of your pet as our primary concern. The Hospital prides itself on being a complete animal hospital, with both modern equipment and a caring, compassionate staff. Using a variety of techniques, we keep your pets as stress free and relaxed as possible to provide the best care. We specialize in the treatment of companion animals (dogs and cats), as well as exotic pets such as ferrets, hamsters, guinea pigs, rabbits, rats, mice, reptiles, and birds. Give us a call at 603-529-4999 to schedule an appointment. Or, click the button below to access an online appointment request form. You may sign up or log in for online access to your pet's health records. Click the button below to access the login/register form. Weare Animal Hospital has partnered with Hill's, the pet food company that makes Hill's Prescription Diet, Hill's Science Diet, Hill's Ideal Balance, and Hill's Healthy Advantage. Join our program and get Hill's pet foods for dogs and cats delivered to your home for free. We accept CareCredit to pay for pet health needs. 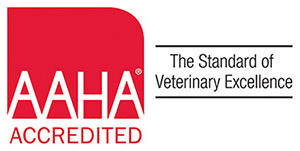 Weare Animal Hospital is part of our family of veterinary healthcare facilities focused on delivering the highest quality of full-service care for all your pet’s needs. In the event of an after-hours emergency please contact VCA CAVES in Concord, NH at 603-227-1199.